So you’ve hit the gym and now you want to make you’re looking hot for the right reasons, ready for your post workout selfie. This gorgeous little hand-held mirror from The Bright Side is small enough to fit in your make-up bag or purse, so you can always check that you are looking your best. 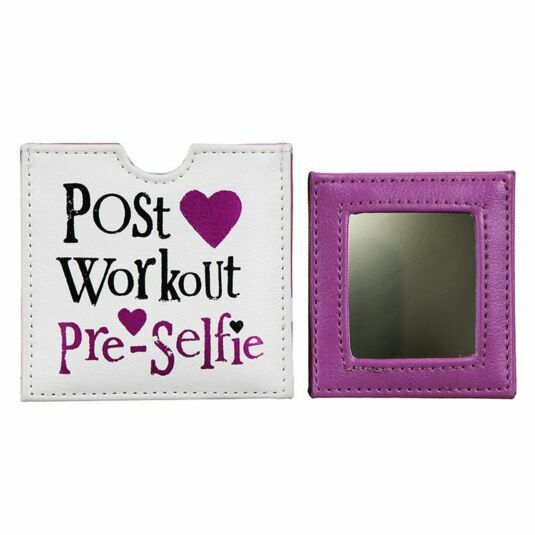 Lilac and white in colour, the mirror sits nicely in a white faux leather pouch where the words 'Post Workout Pre-Selfie’ are detailed on the front in the distinctive Bright Side lettering. The rear is lilac and dotted with white hearts. 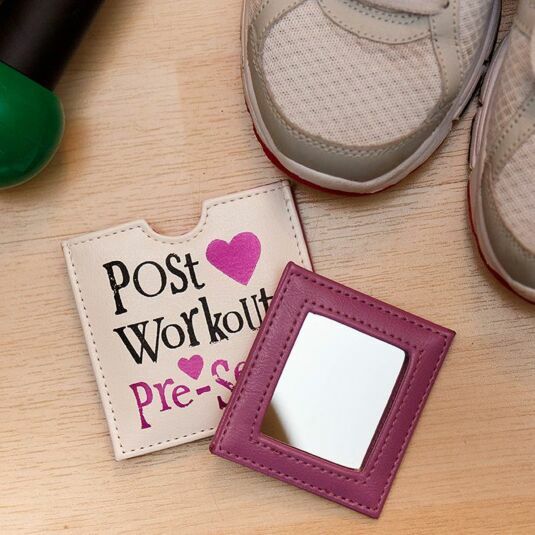 A great present for any glamorous girl who likes to keep active, this little compact mirror would make a lovely addition to any handbag or purse.